It's been a real fun filled haul-a-day! a few nick-nacks from the USA, I go down there once in a while to go to the outlets and usually drop by Walmart as well. Since the States often stock items earlier than we do here (or products not sold here), I always take a quick browse through the beauty isles to scour for goodies. 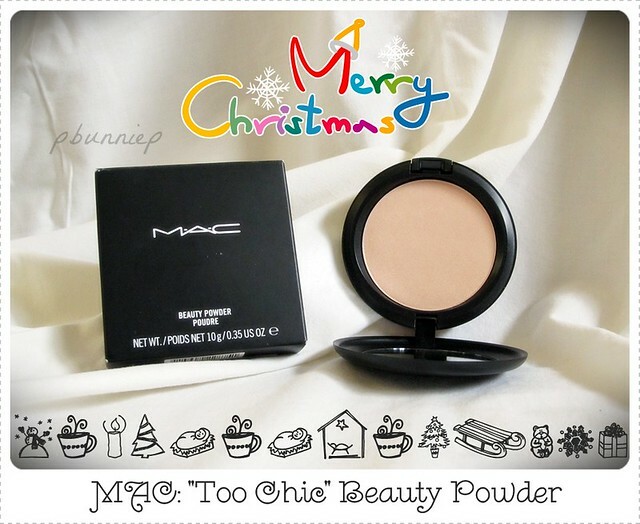 Have yet to try this on my face but hoping that it will give me a subtle glow, it's tinged with a pale champagne shimmer which should blend well with my yellow undertone. Crazily excited about the new Baby Lips lipbalm from Maybelline and might I add that they have just been flying off the shelves here. This one called "Pink Punch" actually provide a fun pop of pink rather like that "I just ate a raspberry popsicle" look which is very cute and flattering. Ta-da! The creator of the curls/waves that you see in the video today. The glove was a great idea in concept but I found it frustrating to pick up hair with it on. There is still much to learn about using this curling wand but I can say I already love the long lasting effect of the curls! 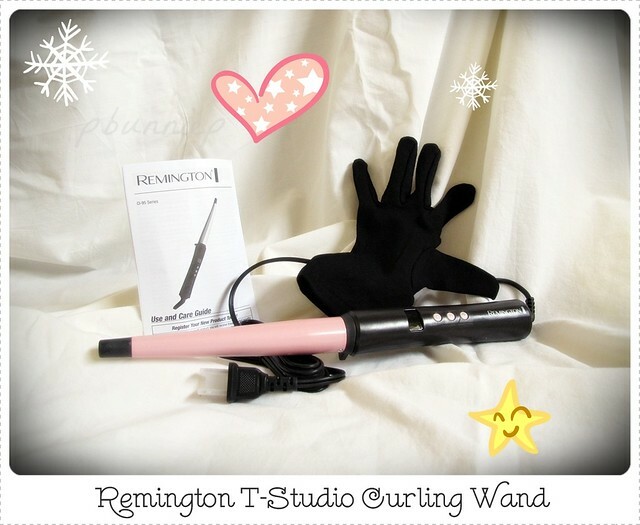 I will certainly post more about this Remington wand later. 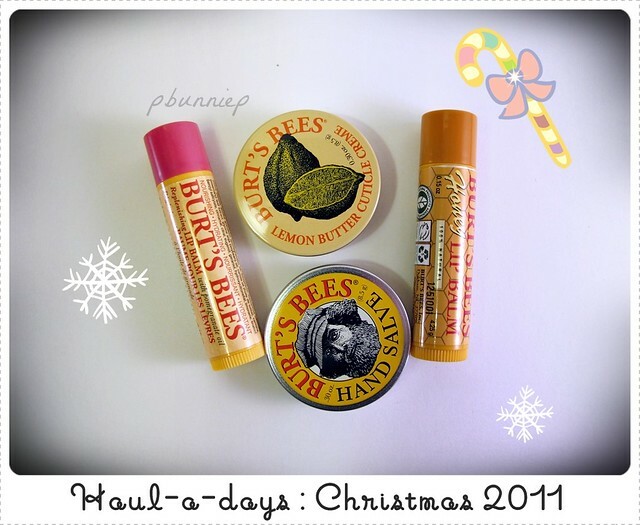 "Who here is a Burt's Bees fan?" I've heard many a things about them but this is actually the first time I've gotten my hands (and lips..hehehe) on these items. Much has been promised now we'll just have to see if these little guys deliver big results. Ooooooooooooooooooo here come the smelly things! I am a sucker for cute bottle and smelly scents. Although I'm very particular about fragrances, it's always refreshing to mix it up and be surprised with something I wouldn't normally choose. None the less, they shall be put to good use...don't they just look so happy just sitting there? 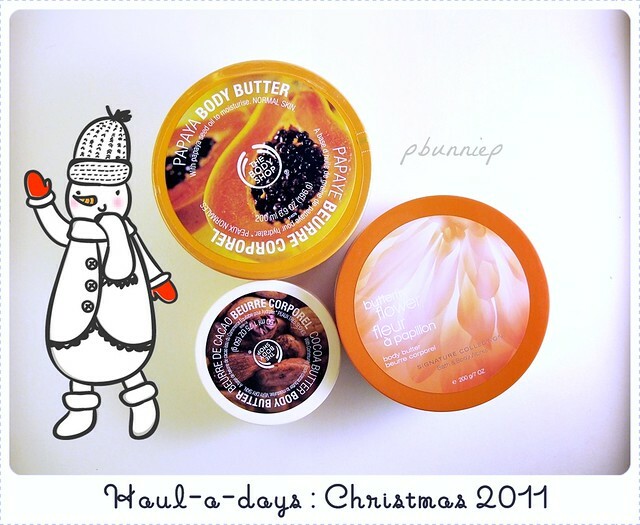 And lastingly, the starting base of my body butter collection....I can certainly see this one growing, hahaha. I'm currently head over heels about the Cocoa butter one (the white mini) not only the luxurious smell but also the smooth consistency of the product and the way it seems to seal the moisture on my skin. This could be the start of a wonderful relationship. 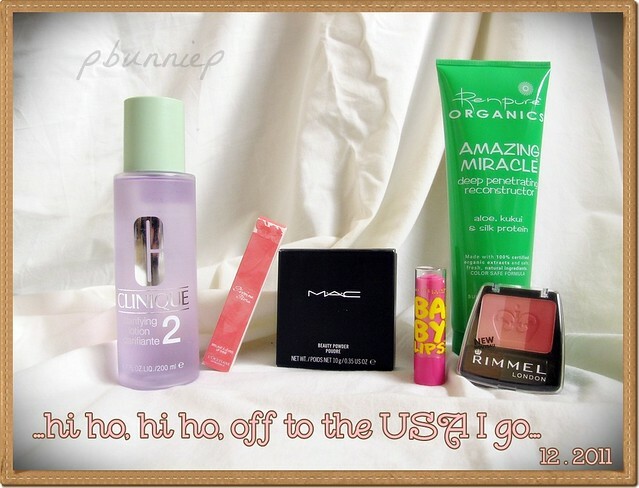 Join in the haul-a-day fun! Let me know what you received this year! Leave a comment below to share. I just got that remington curling iron and i am in LOVE with it. It is so easy to use and the curls look amazing.